A soft joint, or control joint, is simply one grout line, all the way down the length of your installation, that is filled with colored silicone or caulk rather than grout. The purpose of a soft joint is to allow movement in your installation without cracking tiles or grout. When placed properly it will absorb any ‘normal’ seasonal and structural movements inherent in structures. There are guidelines that need to be followed for a soft joint to be effective. The TCNA guidelines call for a control joint every 20′ – 25′ in each direction for interior installations and every 8′ – 12′ in each direction for exterior installations. Interior installations which are exposed to direct sunlight also need control joints every 8′ – 12′. This simply means that if you install tile in your living room and it is larger than 25′ or 30′ you need a control joint – period. It is non-negotiable. If you do not have it chances are likely that your tile installation will fail. The number one reason for tile installation failure (on a floor) is lack of proper control joints. You need them! *It’s either lack of proper control joints or improper coverage, there are conflicting views. Both will lead to a failure and both are installer error – both need to be correct! You need them on wood, you need them on concrete, you need them inside, you need them outside. And no, that is not the beginning of a Theodore Geisel book. I’m simply trying to illustrate the importance of a soft joint in a large tile installation. Because it is. Very important. Along with these control joints you also need to ensure proper perimeter spacing. This simply means that your tile around the perimeter of your room is not butted against the wall or framing. You need room for stuff to expand. You don’t realize it but there are a lot of things in a structure which move – constantly. With temperature changes, normal construction shifts (settling), even sunlight causes enough significant heat to expand and contract structural elements several times a day. You absolutely need to allow for this movement. If you do not allow for this movement your tile installation will not last long-term. Your grout will crack. Your tile will crack. Your dog will burst into flames. Your tile may ‘tent’ which means that there is so much pressure pushing two adjacent tiles together that the bond from the mortar will eventually fail and the two tiles will pop – literally – off the floor and tent. They will sit there right in the middle of your room looking like a little teepee. I tapped a tile once in an installation which did not have control nor perimeter joints and they literally popped – loudly – and tented. Control joints also need to be installed above expansion joints in concrete – whether you use a membrane or not. A membrane will allow you to ‘shift’ the control joint in the tile over up to six inches (depending on which membrane you use) but it still needs to be there. If your concrete has a control joint it needs to follow all the way up and through your tile installation. 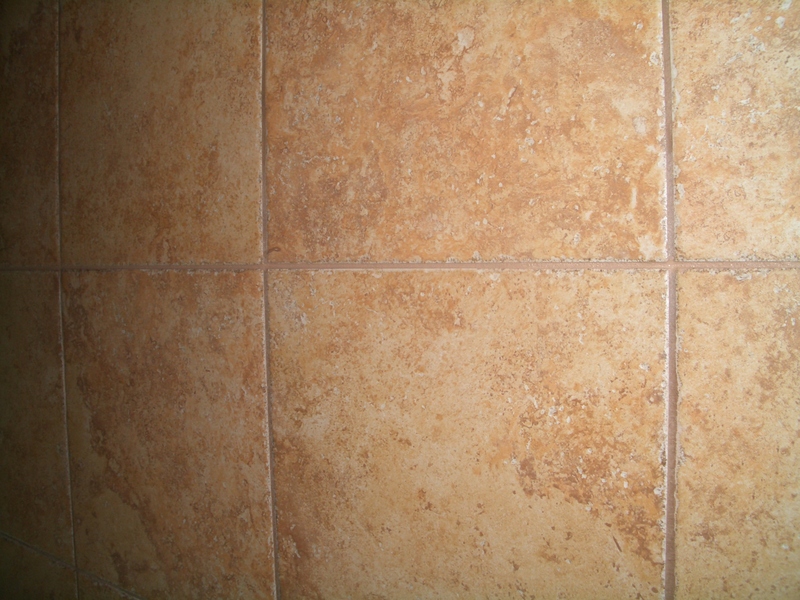 Most grout manufacturers make a matching caulk or silicone which can be used for these joints. When cured they match the color of the grout exactly or nearly so. You can tell it’s there – if you look for it. Don’t look for it. I understand that a control joint may change the look of your installation – you may not like it. I know. I get it. I don’t like them either. But you need them. The photo at the top of this post shows a control joint through the middle of a tile installation. This is right after I finished installing it so the caulk has not yet cured – that’s why you can see it. Once cured it matched the grout color exactly. In my next post I will show you exactly how to prepare this grout line as a soft joint and install the caulk or silicone. Are expansion joints only the thickness of the tile or do they run all the way through to the subfloor? Thanks! If they are being placed over an expansion joint in concrete it needs to run all the way to the concrete. If it’s only in the tile installation as a soft joint it’s only the thickness of the tile. When it comes wood-look tile that is laid in a randomized pattern I know you’ve said its OK for the soft joint to be done in a zig-zag pattern when a straight line is not possible. Question: Would using epoxy grout on the whole floor take the place of having to install soft joints? I’m guessing the soft joints are still needed but just wondered if any of these newer flexible grouts could replace the need for control joints altogehter? BTW – This is porcelain 6×36 wood-look like over a TEC SLU pour with Nuheat radiant wire. Despite what you’ve heard, there is no ‘flexible grout’ which will replace the movement requirements of a soft joint. In my honest opinion the ‘flexible’ aspect of any of those grouts marketed as such is only marketing. In the installation application it makes zero difference except in very limited, specific installations. You ALWAYS need a soft joint. Hi, Is a pencil joint appropriate for a 18 inch x 18 inch travertine floor tile surface? Not sure if a ‘pencil joint’ is 3/16″ or not. Regardless, it depends on the uniformity of your tile sizes. Read through this. “If your concrete has a control joint it needs to follow all the way up and through your tile installation.” Are you referring to contraction joints in the concrete slab? I want to make sure I understand. Big thanks in advance! Room is about 6m x5 m and flows through to hall way and kitchen we will put exspation joints in door ways would you run an expansion joint around the permitter edges onto granite ? Yes, you need perimeter joints.